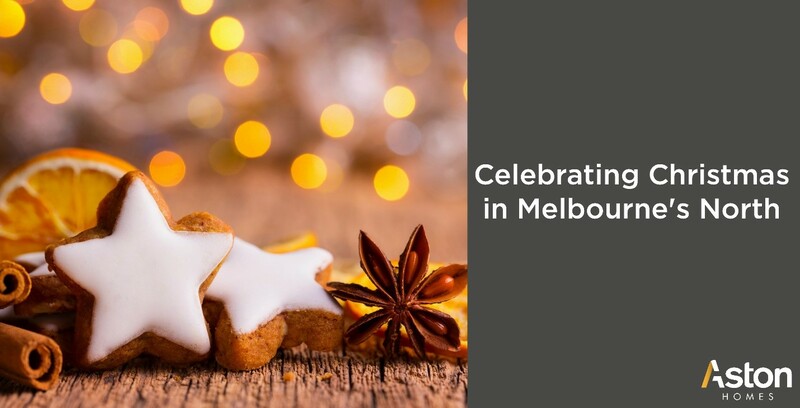 It’s beginning to look a lot like Christmas in Melbourne’s north, and to celebrate the arrival of our favourite season, the Aston Homes team have put together an essential Christmas events list to ensure there are no Silent Nights this December! Did you know that Carols by Candlelight is a tradition that originated in Australia in the 19th century, and was popularised in Melbourne in 1937? We’re so glad those early Melburnians were enthused about celebrating good cheer in song, because Carols by Candlelight is one of Aston Homes’ favourite Christmas traditions! Join your community on Saturday December 9th at ANZAC Park, Craigieburn for a night of music and merriment at Hume Carols by Candlelight. In addition to jumping castles, Christmas treats and family fun – Rob Mills will host a fantastic cast (including Hoot and Hootabelle) to sing you into the Christmas spirit. It might be a little wet, so pack your raincoats as well as your reindeer ears and picnic rugs! Here’s your perfect opportunity to pick up those last minute handmade Christmas pressies – made by talented locals, too! The Mernda Boutique Makers Twilight Market runs from 5pm to 9pm on the 15th of December – and with delicious coffee on hand, you’ll barely notice the evening hours sailing by. The market’s handmade wares will be perfect stocking stuffers for countless Kris Kringle events this festive season! Wondering where to see the very best Christmas light displays in your local area? We suggest you visit the Christmas Light Search website to map out the best stops for your family’s reindeer-spotting route this year. Pop a Christmassy CD on, grab the camera and make a night of it! Maybe you’ll feel inspired to join the list next year with your own decorative display? On Friday the 15th of December, Broadmeadows Civic Plaza will transform into an exciting Santaland for an evening of festive family fun. From 5pm to 9pm, Christmas lovers big and small will be able to meet Santa, enjoy Christmas craft actives, sing along with our local school choirs and enjoy a delicious food truck feast. A perfect opportunity to grab some extra Christmas shopping too. See you at the Civic Plaza! In another carolling extravaganza, join us for an evening of festivities at Community Carols on the Mernda Village Green this Christmas Eve! Pack a picnic to enjoy from 5.30pm, as the singing starts right on 6.30pm. The Christmas Eve highlights will include activities for children and a visit from the CFA and Santa – just before he hurries off for his biggest night of the year! The Aston Homes team would like to wish all our clients, friends and family a very Merry Christmas and safe New Year. We do hope to see you out and about in the north this festive season. Take care!